Don’t be so gullible, McTiger fans—a couple of coordinator cut outs aren’t going to erase Auburn football from existence. Chizik will find more. Our density will pop them to us. Save the clock tower? More like save the date for the 2013 BCS National Championship Game. Chizik’s got this. From the fertile Shop of @AUlteredEgo, the same man who brought you dashcam footage of Nick Saban being ticketed. Related: Updyke trial moved to Takeo’s Court. So you’re obviously wanting to relive Auburn’s national championship season now more than ever. 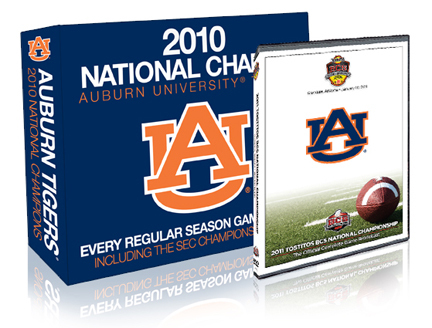 Go to WarEagleDVD.com and enter TWER as your promo code. You’ll get free shipping… and you’ll help your favorite Auburn website keep the lights on during the long winter. You hit this on the head of the nail. Density, and all. Great job! Oh, and mixing NCIS with Back to the Future is brilliant.